The Nighthawk Turnbull VIP 1 features a Turnbull case hardened and polished frame along with high-polished charcoal blue slides and controls. 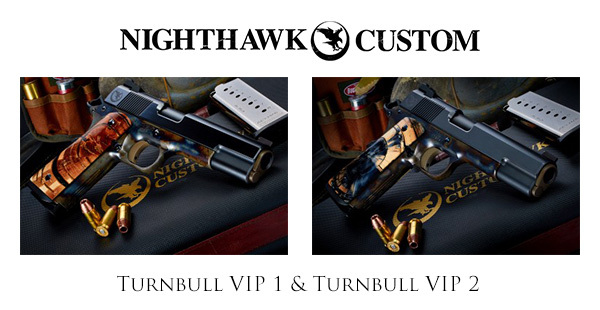 The equally stunning Nighthawk Turnbull VIP 2 features a Turnbull case hardened frame, blued slide and nitre blue controls. For the single-action enthusiast, Talo Distributors are offering the Turnbull Ruger Super Blackhawk featuring Turnbull colored and finished metal. Ruger fans will certainly want to get their eyes and hands on these fine pieces. These beauties made a stir in Vegas, so be sure to contact us or your dealer to learn more. More collaboration announcements are coming soon, so stay tuned!